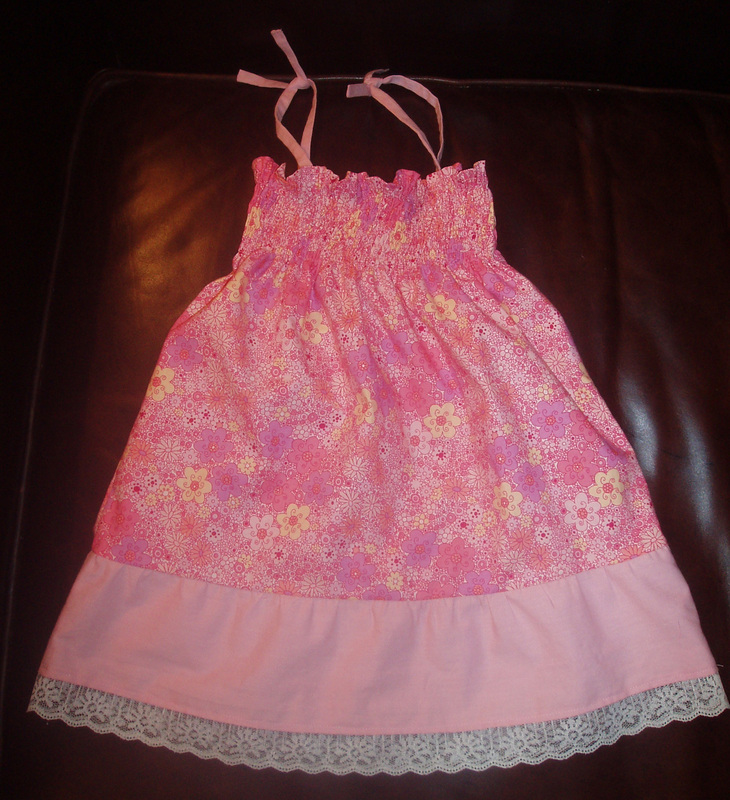 This entry was posted in Beginner, Crafting for others, Drafting, Dresses, Gifts, Sewing, Thea. Bookmark the permalink. She’s a cute little thing! The dress turned out really nicely Elizabeth. Lovely dress for a very cute niece. Sewing for children is so rewarding. Adorable! 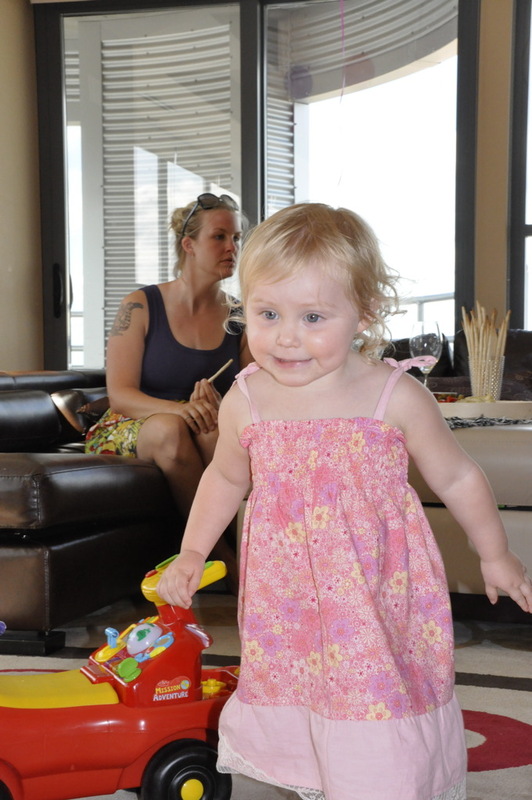 Dress and little princess! Isn’t shirring so much fun? If it wasn’t for the annoyance of hand winding the elastic thread on the bobbin I’d do way more of it! Cute dress! I made a similar dress for my niece last year. I was taught an easier method for turning straps. It involves using a dowel for pressing the seams open before you turn. The turning isn’t that much easier, but the finished product looks a whole lot better. I think I’ll post my first tutorial! OK, totally adorable. Nice job on that dress and love the lace trim. So cute, what an adorable dress! Precious! It’s so cute on her! Great job, Elizabeth! Your niece is beautiful and the dress suits her. Another great job! Very cute indeed! Can’t wait to see your dress now too!